The March Forefront Suicide Prevention LEARN Training held recently at Shorewood High School felt somber yet hopeful. By arming a community with tools of knowledge, it can help identify and support students who could be susceptible to suicide ideations due to depression, anxiety or a variety of factors and reasons. LEARN is a five-step approach that brings understanding in the form of education and actions that can be taken to help save a life. Two Washington State youth die by suicide each week. The Center for Disease Control states that means there are twenty-five other youth who also tried to take their own life, but were intervened by someone or something. This affects anyone from any economic or cultural background. Almost 50% of all youth suicides involve a firearm, and 82% of youth suicides by firearm involve a family gun. 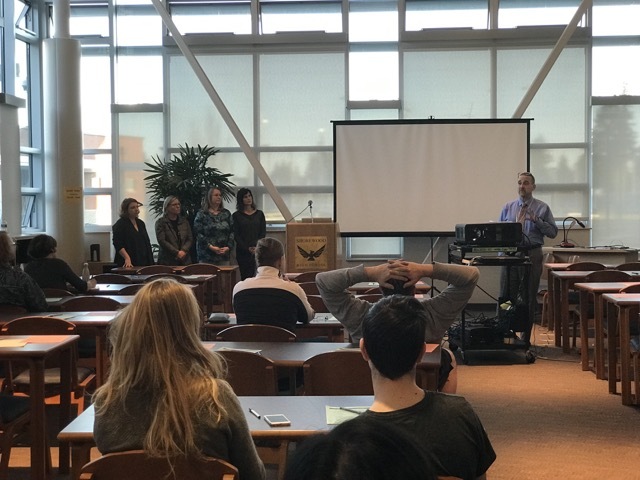 Parents at Shorewood and Shorecrest High Schools researched and garnered support and donations to bring in the University of Washington’s Forefront LEARN model that teaches suicide prevention to all parents, teachers, staff, and students. The Forefront LEARN program stresses, with its data-driven approach, the need for the responsible locking up of weapons, pharmaceuticals and especially any opioid medications. But parent attendees learned to even eliminate plastic bags in the home if there is a teen experiencing suicide ideations. Empathy, the appropriate responses, and working with skilled professionals also play a significant role in suicide prevention. Shorewood High School Principal Bill Dunbar also explained why teens and young adults are particularly vulnerable; executive function skills such as impulse control don’t fully develop until around the age of 26. So when a teen is experiencing an intense emotional pain, they may not have the necessary brain development to control an impulse to want to end that pain. The pain becomes so dark and deep within them - they could be feeling a burden to others around them - that the urge to die by suicide is brought on by the need to stop all the pain and takes over any ability to cope. Several parents told their story of how the need for suicide prevention has touched their lives and why they support this training for every parent, teacher, and student. One Lake Forest Park parent spoke of how she was not aware that her daughter had been experiencing suicide ideations until two teens died of suicide while she was attending Shorecrest High School. Then, at that time, her daughter spoke up about her own feelings. This parent has a strong bond and relationship with her child, so it was a shock that her teen was having such silent struggles. 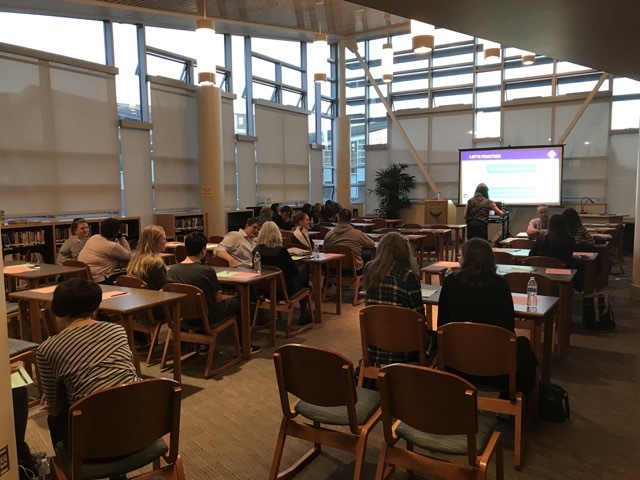 Parents and teachers and students are working hard in the Shoreline School District to develop a robust approach so the whole community can have eyes on all teens and especially those silent ones suffering who may not even realize they need help. When any person becomes so ill with depression that they are contemplating taking their own life, they most likely do not have any ability to cry out for help. They are using all their human capacity just to survive the pain of the day. At Shorewood, the school has incorporated another program called the “Life Savers” Club. In this model, the high school students themselves have become an essential support system that provide peer to peer suicide prevention support, and now combined with the LEARN training, Shorewood has an even stronger integrated approach. Washington State Teen Link peer-to-peer helpline received 3,700 requests in one year. This indicates the need is enormous. Depression or anxiety can cause suicide ideations. If a teen becomes socially isolated and withdrawing from activities that he or she usually enjoys. Events that have caused shame or having the experience of being bullied. Lack of sleep or changes in mood. Suddenly giving away of personal or meaningful possessions. A sudden burst of joy in a depressed youth could be a sign that they know their pain will end as they have then made a plan. Listen with an open heart as you would about any other serious illness, but do not try to fix the problem. Please get comfortable with discussing suicide awareness issues with your teen or young adult. Programs like LEARN can help you do that. Always seek help if you feel someone is at risk. Crisis Textline-National-24/7 Text about anything. For any immediate danger call 911. Both Shorewood and Shorecrest High Schools have a safety tip line on their websites – upper right hand corner on their individual home page.